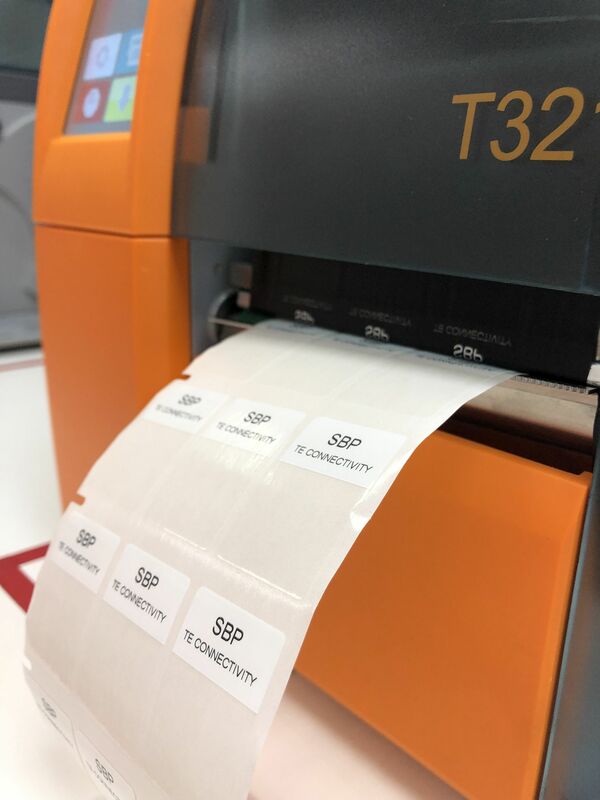 DARMSTADT, Germany – April 12, 2019 – TE Connectivity (TE), a world leader in connectivity and sensors, has made improvements to its SBP vinyl label liner, to work seamlessly with TE thermal transfer printers having movable sensor positions. 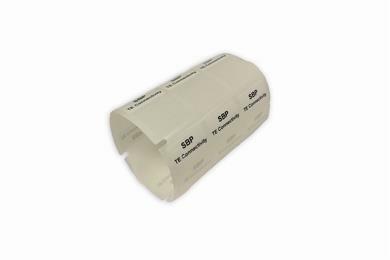 These labels are used to identify wire and cable in harsh industrial environments. The SBP labels are based on a thermal transfer printable vinyl film with a permanent acrylic adhesive. They have a white printable area that can be over-laminated with a transparent section. The over lamination protects the printed area and enables a higher level of print durability. TE’s SBP labels comes in a variety of sizes and are usable down to a 2.0mm diameter, even on Fluoropolymer wire jackets. 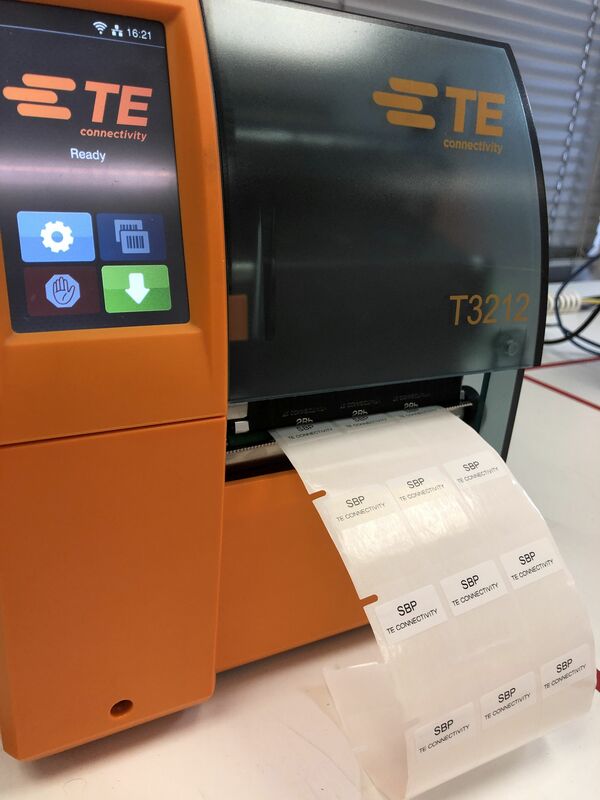 The labels are fully free of substances of very high concern (SVHC), in line with TE’s drive to comply with the European Community’s REACH (Registration, Evaluation, Authorisation and Restriction of Chemicals) legislation. SBP labels do not contain any declarable or prohibited substances from the UNIFE Railway Industry Substances List. Further information covering RoHS and REACH compliance can be found at the TE Product Compliance Support Centre. For more information about TE’s identification systems, visit the TE website. UL fosters safe living and working conditions for people everywhere through the application of science to solve safety, security and sustainability challenges. The UL Mark engenders trust enabling the safe adoption of innovative new products and technologies. Everyone at UL shares a passion to make the world a safer place. We test, inspect, audit, certify, validate, verify, advise and train and UL supports these efforts with software solutions for safety and sustainability. To learn more: UL.com. 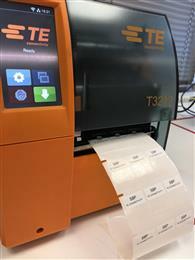 TE’s improvements to its SBP vinyl label liner allow it to work seamlessly with TE thermal transfer printers. 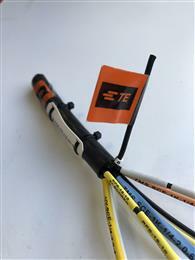 These labels are used to identify wire and cable in tough industrial environments.